After all, what happened to Venezuela? It was once one of the four richest nations in the world, has more oil than Saudi Arabia, and is broken. Understand how chavismo has broken the country. For seven months in Brazil, working in a Peruvian restaurant owned by an Argentinean owner in the city of São Paulo, Venezuelan Eliza is one of many figures that give life to the syncretism of Brazilian culture. But Eliza and her brother, who helped emigrate to the country three months ago, also represent a frightening phenomenon: the Venezuelan exodus. Since 2015, 3 million citizens have left Venezuela. One in ten inhabitants. Half immigrated to Colombia and Peru. Brazil, which has its economic center far from the border with Venezuela and speaks another language, received fewer people, but still a considerable contingent: 85,000 people. Good part with nothing and willing to live in the street in Roraima. According to a FGV survey, 30% of them have a college degree. And the tendency is to get worse. The UN estimates that the number of refugees is expected to reach 5.3 million by the end of this year. Almost 20% of the population - an exodus of biblical proportions. All this in a country that holds the largest oil reserves on the planet (well ahead of Saudi Arabia, second placed). All this in a nation that until the beginning of the 21st century had the highest GDP per capita in South America, and which, in the 1950s, was among the four richest in the world. What happened? Of course, the dictatorships of Chaves (1999-2013) and Maduro (since 2013) are at the center of the problem. But the story is longer. After the discovery of oil in Venezuela in 1922, the country saw a succession of coups and political parties that sought to capture part of the resources generated in the agreements with foreign companies. What seemed settled with democracy, implemented in 1958, and which would become the longest in South America, lasted little. In 1973, after the first oil shock, the country decided to nationalize oil companies, condensing everything into the giant PDVSA. With oil resources, the state has entered the economy. Large business owners realized that, while resources were in government, they had to adapt and produce for the government, not for consumers. And the population became more and more dependent on state aid. Well, oil and oil products account for 96% of Venezuela's exports (in Brazil, for example, they are only 9%). The boom in barrel prices over the past decade under the Chavez government has brought more than $ 750 billion into Venezuela. With full control over the country's greatest source of wealth and ailing entrepreneurs, Chavez took advantage of the bonanza to further expand the state's presence in the economy. He bought from the private initiative the control of steelmakers, banks, food industries, factories of all kinds. Between 2008 and 2015, the private sector declined from 70% to 20% of total consumer goods supplied in the country. The toast of money has put up the public deficit (that is, the amount the government spends more than it collects). Brazil, which needs reforms not to break, now has a deficit of 7.5% of GDP. The one from Venezuela has quickly reached 16%. With public funds almost all destined to cover the deficit, money in the jewel of the crown, PDVSA, began to be lacking. Oil production imploded, dropping from 3.2 million to 1.5 million barrels a day (less than Petrobras, which takes 2 million barrels a day). To make matters worse, the price of a barrel of oil went from US $ 103 in 2014 to US $ 35.7 in 2017. With fewer dollars coming in, the country has severely impoverished: in 2012, they imported US $ 62 billion. In 2018, it was only US $ 9.2 billion (Brazil, to give a reference, imported US $ 180 billion last year, with dollar on the rise and everything else). In order to pay civil servants' wages, the government resorted to the stupidest solution: turning on the money printers. With more money in circulation than things to buy, it gave no other: prices inflated. By 2019, Venezuelan inflation is expected to top 10 percent, according to the IMF. Amid this chaos, the contraction of GDP reached 13.7% in 2017; another 15.4% in 2018. Today, nine out of ten Venezuelans are below the poverty line. In this, the Maduro government collapsed. His last election was declared fraudulent by the Venezuelan Parliament. Juan Guaidó, the young leader of the Assembly, 35, declared himself interim president of Venezuela in January, and was recognized as such by the US, the largest countries in Europe and most of Latin America (Brazil included, obviously). But there is no way to match the Russians. The declaration of Guaidó is not worth anything inside Venezuela, because Maduro has hot backs. With well-armed military and paramilitary forces, the dictator has tools to intimidate anyone who opposes him. In 2008, Hugo Chavez distributed 100,000 rifles to his militia. In 2017, it was Maduro's turn to set up another 500,000. The militia, a kind of SS implemented by Chavismo, has been responsible for much of the repression, and remains faithful to the Chavista leader. The Venezuelan military, which supports Maduro in power, controls 14 of the 32 ministries, as well as managing the PDVSA, which is responsible for basically all the country's dollar revenues and, unsurprisingly, where most of the diversion of public resources - according to Swiss Swiss banker Matthias Krull, only Maduro's family diverted $ 1.2 billion. In addition to the military, Maduro has wide condescension of the Judiciary, which he tried to elaborate throughout his term. Although faced with opposition in the House, such as the president of the house, there is little or nothing that the Legislature can do with hands tied by the judges. With power maintained, Maduro would face new elections only in 2025, when the Chavista Revolution would turn 27. 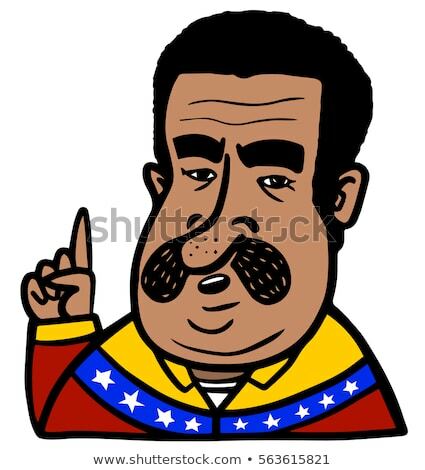 If you're still there, there's no doubt that Venezuela will have taught you valuable lessons on how to ruin a country.